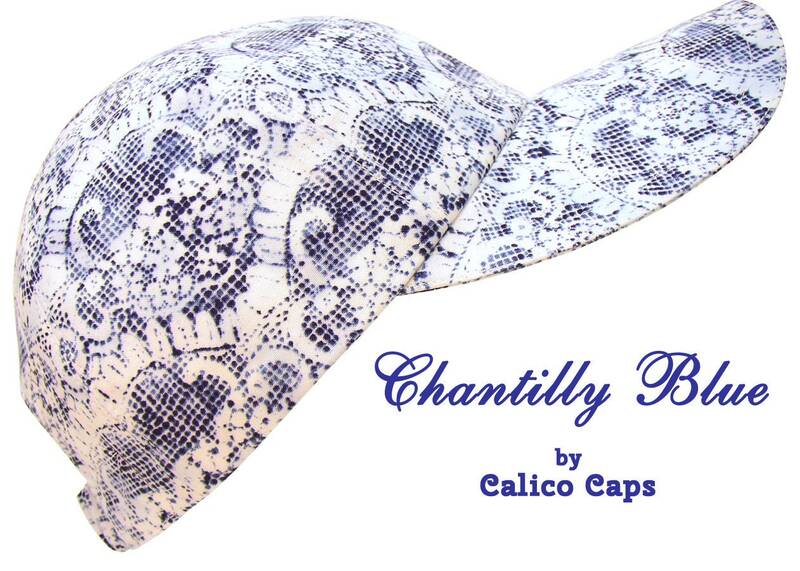 This style is called "Chantilly Blue".... 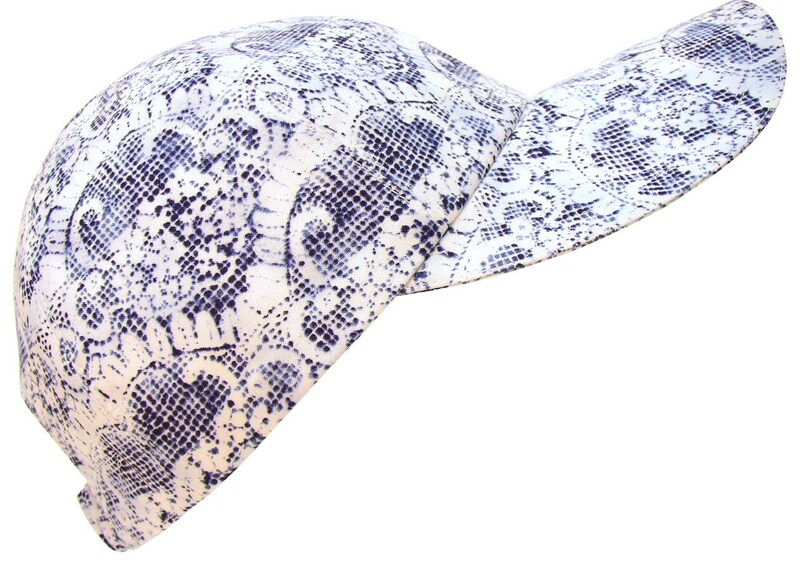 The look of an antique lace in a blue and white cotton cloth print. Casual elegance at its' finest. 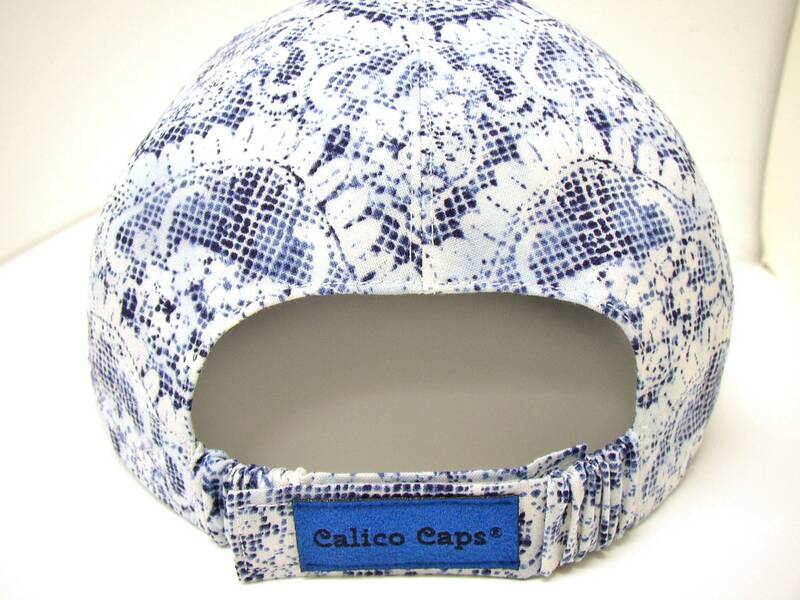 White top-stitching with blue grosgrain band on the pretty, white-on-white floral print cotton lining.